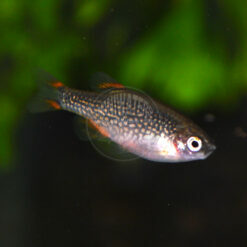 Talk about a fish with an identity crisis. 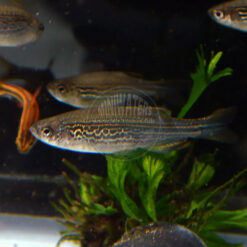 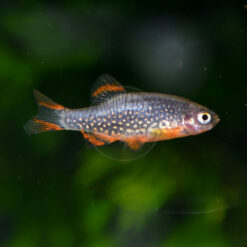 The “Dwarf Emerald Rasbora” has belonged to a few different genera; Microrasbora erythromicron, Danio erythromicron, and Celestichthys erythromicron. 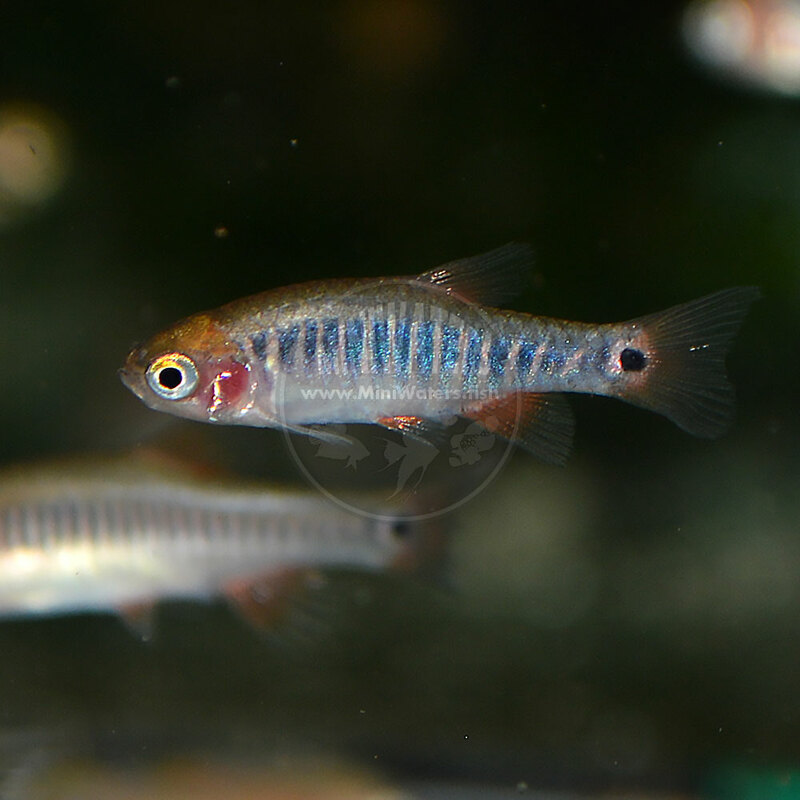 It’s safe to say that having kept these for a while now, they are very similar to the “Galaxy Rasbora” aka. 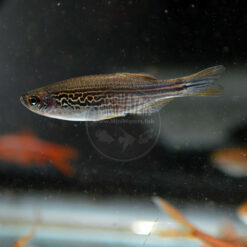 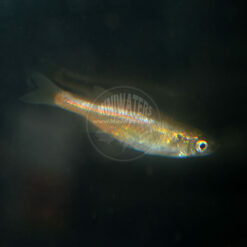 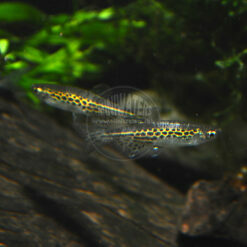 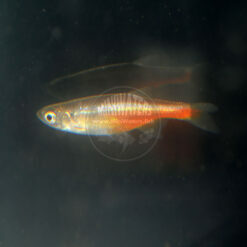 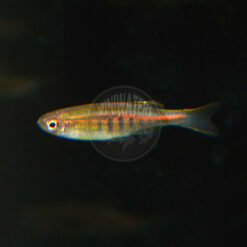 “Celestial Pearl Danio”, C. margaritatus. It’s worth noting that these two related species will freely hybridize. 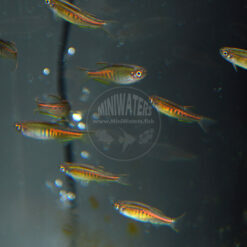 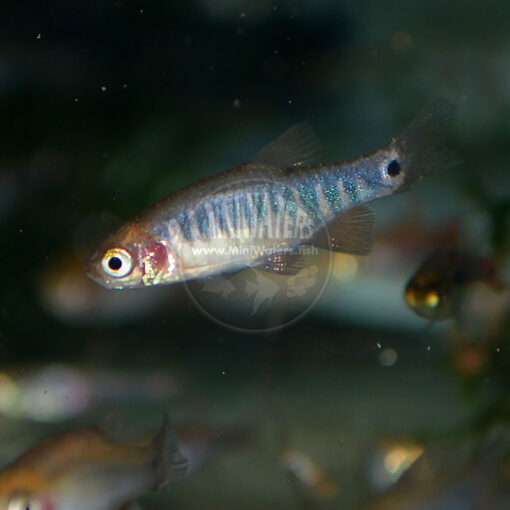 Clocking in at under 1″ at full maturity, the Dwarf Emerald Rasbora (Danio!) 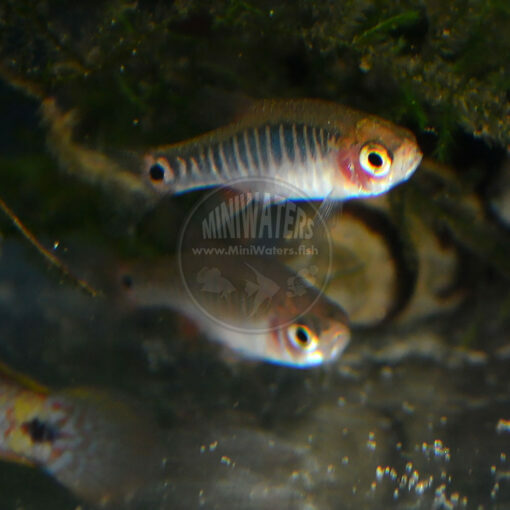 is a very shy, timid fish; you won’t see it all that often in my experience; SeriouslyFish recommends heavy planting with dark substrates. 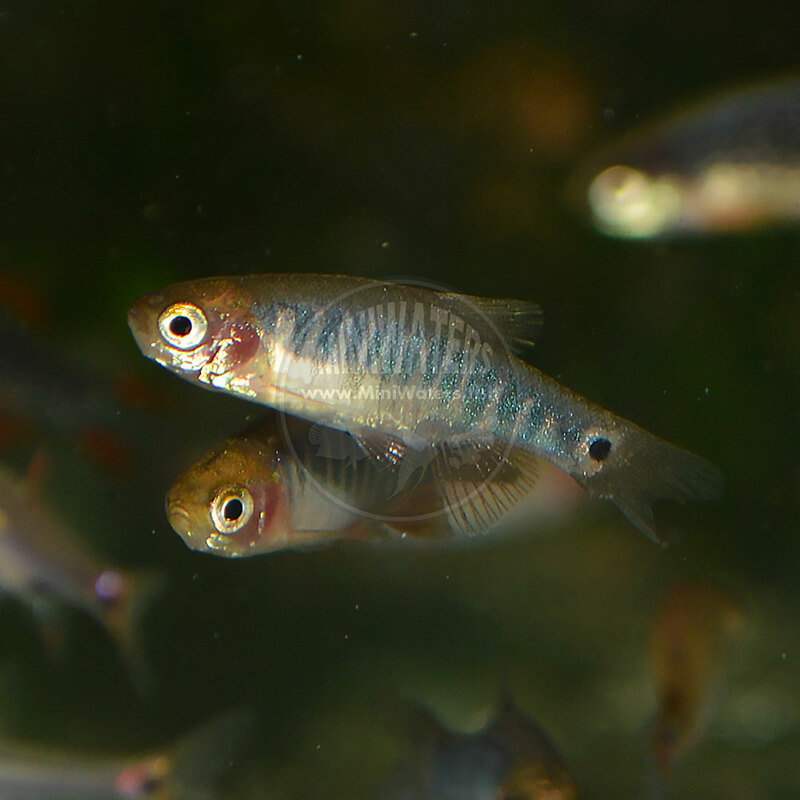 My experience suggests you’re most likely to see them when feeding live foods; baby brine shrimp is a favorite of theirs (of course, they’ll eat flake and other fare as well). 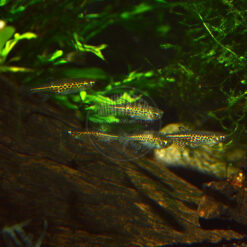 These fish seem to be a tiny bit nippy with each other; I often see a small chunk out of one of their tails.